One of the benefits of living in Brownwood is a lower cost of living. Your dollar can go farther here than in more metropolitan areas of the State. 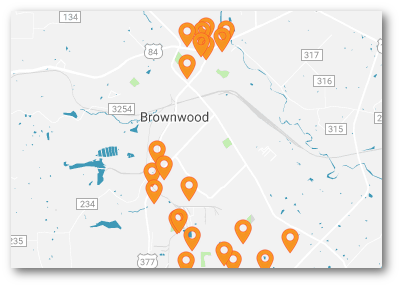 Below are a few tools you may use to see how far your dollar will go in Brownwood and to compare the cost of living in Brownwood to your current home or another city. Savvy web browsers know you can’t believe everything on the internet, so if you have questions, let us know, and we will help you sift through the data. View overall cost of living segmented by grocery, health, housing, utilities, transportation, and miscellaneous. Click Here to view data. Calculate cost of living for Brownwood and compare to locations across the state. FIXR delivers a detailed calculation in easy steps. Select from drop down menus of occupation, people in household, rent, and food plan. FIXR will then calculate income, taxes, house rent, food costs, utilities, childcare, healthcare, and transportation. Click here to start calculating your cost of living.